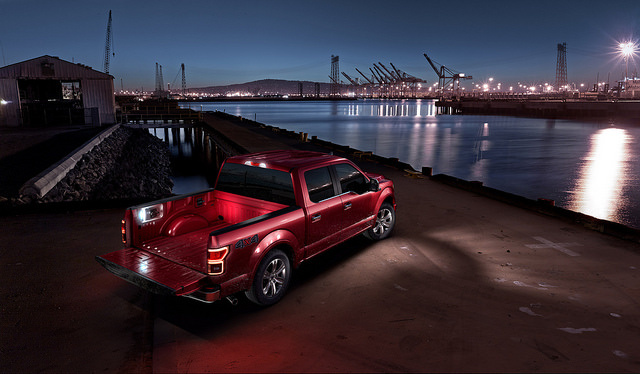 When you think about the fastest trucks on the road, you might imagine the truly impressive Raptor. However, even that truck is not as fast as the 2019 Ford F-150 Limited. It is powered by a twin-turbocharged V6 with 450 horsepower and 510 lb-ft of torque. Car and Driver recently put this luxurious truck to the test and got some astounding results. With its 450-horsepower engine, it achieves a 0-60 mph time of just 5.1 seconds, which makes it one of the fastest trucks ever produced. It also takes on the quarter mile run in just 13.7 seconds. 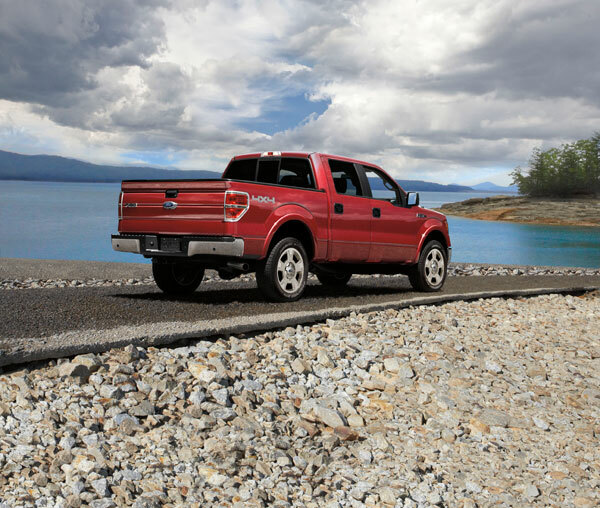 Along with its incredible speed, the F-150 Limited has impressive stopping power, too. With its 22-inch Pirelli Scorpion Zero Asimmetrico all-season tires, it can come to a full stop in just 168 feet. Inside, the F-150 Limited is just as impressive. It comes standard with upgraded leather upholstery, wood and aluminum trim details, a navigation system, heated and ventilated front seats, 8-inch touch screen with Ford SYNC® 3, FordPass Wi-Fi® capabilities, Android Auto™, Apple CarPlay™, a sunroof, and dual-zone automatic climate control. Besides speed and technology, the Ford F-150 Limited also comes well-equipped with advanced safety features to boost your confidence on the road. Just some of these available tools inclue BLIS® (Blind Spot Information System) with Cross-Traffic Alert, Rear View Camera with Dynamic Hitch Assist, and AdvanceTrac® with Roll Stability Control™ (RSC®). Stop by Tropical Ford to experience the 2019 F-150 Limited for yourself. One of the most highly anticipated vehicles of the year, the all-new 2019 Ford Ranger is set to reclaim the throne amongst midsize pickups early this year. Boasting best-in-class torque with the 2.3-liter EcoBoost® engine, best-in-class EPA-estimated gas mileage, and best-in-class gas payload and towing capability, midsize truck enthusiasts are already enthused about the return of the Ranger. To make the 2019 Ranger even more appealing, Ford has announced that Yakima adventure accessories will be available for the Ranger directly from dealerships. 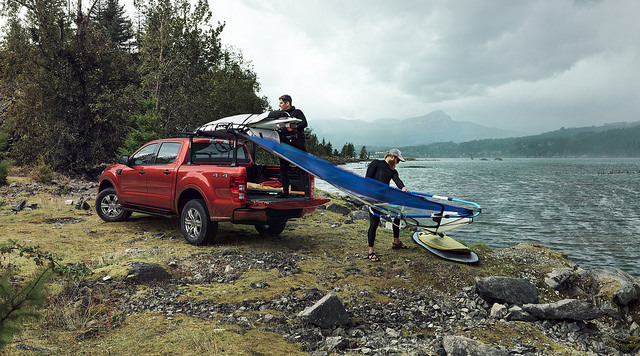 Ford has designed the 2019 Ford Ranger to be a true companion for outdoorsy adventures. Yakima accessories are tailor-made to enhance the model’s driving experience. Accessories include the BedRock Heavy Duty truck bed rack and a 78-inch crossbar (that allows drivers to carry bikes, boats, and more above the bed). The LongArm bed extender lengthens the truck bed by up to 4 feet and can carry approximately 300 pounds. 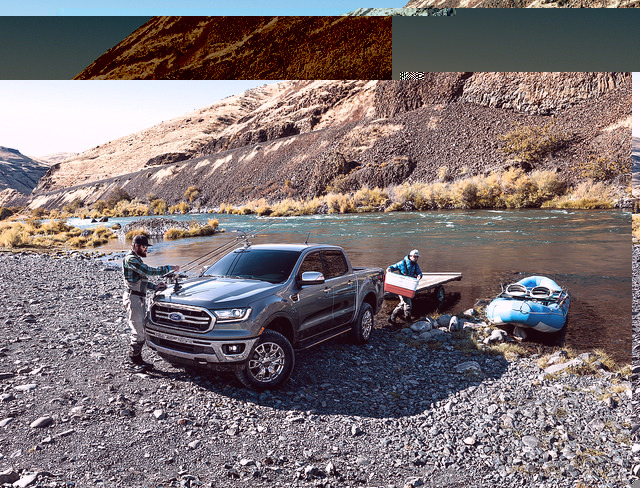 With the availability of high-quality Yakima accessories right through the dealership, drivers can more conveniently customize their new 2019 Ford Ranger to suit their lifestyle and needs. Test-drive the 2019 Ranger when it arrives on our lot here at Tropical Ford. Until then, visit us to test-drive one of our other shiny new 2019 models. *Class is Midsize Pickups based on Ford segmentation; EPA-estimated rating of 21 city/26 hwy. The 2019 Ford Ranger is almost here, and we can’t wait. From its strong performance to its trail-ready capability, the Ranger makes a stunning entrance into the midsize pickup truck segment. The Ranger will be produced at the newly updated Michigan Assembly Plant, which has been producing Ford vehicles for six decades. This adventurous pickup will come equipped with a standard 2.3-liter EcoBoost engine that delivers 270 horsepower and 310 lb-ft of torque, offering you smooth power and capability for whatever terrain you choose to traverse. In fact, the Ranger offers the most torque of any midsize pickup out there, so you can feel cool and confident while behind the wheel. The engine comes paired with a class-exclusive 10-speed automatic transmission, which further elevates the feel of your ride, and features Auto Start-Stop technology that works to optimize efficiency. Stop by Tropical Ford to test-drive the 2019 Ranger for yourself. There’s no other pickup like the Ford Raptor. This truck was built for off-roading through and through. From its powertrain to its suspension to every little detail, the rugged terrain is this truck’s destiny. 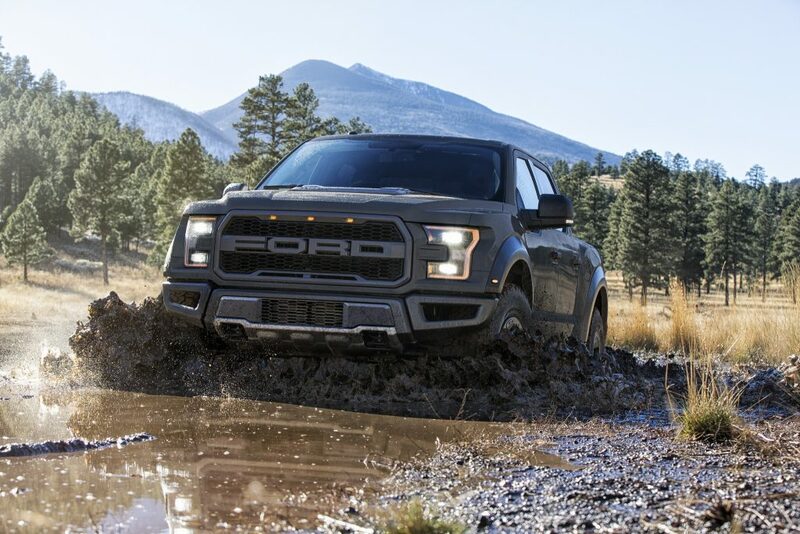 If you’re taking a Ford Raptor or another Ford truck from Tropical Ford out off-roading for the first time this summer, use these helpful tips for off-roading to stay safe and have the most fun. Before you go off-roading, you need to make sure you understand everything about your vehicle. Read your owner’s manual to learn about things like traction control and the four-wheel drive system to get a basic understanding of its capabilities. The Ford Raptor delivers exceptional handling and excellent grip on mountain roads and twisty, rocky surfaces. But before you take the Ford Raptor out for the real deal, get a little practice in on a smaller scale first. Find small creeks, steep inclines, and gravel roads where you can get a feel for how the truck handles so you’ll be more prepared. Don’t just head out empty handed. Not only should you bring with you a first aid kit for your safety, but you’ll need tools for your truck’s safety too. Look into purchasing the type of tools that will help you recover should you get stuck, like a quality winch, which can pull you out of a muddy situation. Ford is often celebrated as the best pickup manufacturer in the world. It’s hard to contest this claim when the brand has had the best-selling vehicle—not just the best-selling truck—in the world for decades. The F-150 is just one of many truck offerings available from Ford, each of which has distinct features and perks you won’t find elsewhere. Why buy a Ford truck? These pickups are dependable. There’s a reason the F-150 is so popular. This model is built with high-strength military-grade aluminum. Not only does that cut weight by over 750 pounds, increasing performance and efficiency, but it also strengthens the design. Plus, the F-150’s aluminum body doesn’t rust—one perk you won’t find on trucks like the Silverado or Tacoma. According to Ford, these models are also among the most powerful in their segments. Take the Ford Super Duty for example. 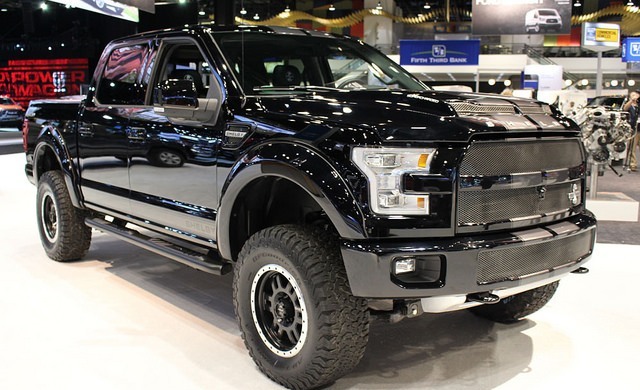 The available 6.7-liter Power Stroke V8 Turbo Diesel can generate a whopping 860 lb-ft of torque. That means you can tow up to 26,500 pounds in the F-350 4×4 when properly equipped. Ford trucks are also great off-road as well as on the highway. The upcoming 2017 F-150 Raptor is bred for dirt tracks and snow, with a suspension made by Fox Racing Shox™ and an intelligent Terrain Management System. Mechanical-locking four-wheel drive, fat all-terrain tires, variable damping, and skid plates are just some of the features that make this model great. The new F-150 Raptor is the ultimate off-road truck. These are just some of the many reasons to consider buying a Ford truck. Check out the Ford pickup lineup today at Tropical Ford. The 2017 Ford F-150 Raptor participated in the Best in the Desert Mint 400 Off-Road Race, making it the first full-size truck in this class to race in this category. The Raptor finished in 23rd place overall after racing in nine different classes, and was one of just 19 teams in the limited group that finished the race out of 68 entries. The Raptor completed the two laps on the track in 9 hours and 10 minutes, while the first, second, and third place winners of the unlimited class race were all modified Ford trucks. 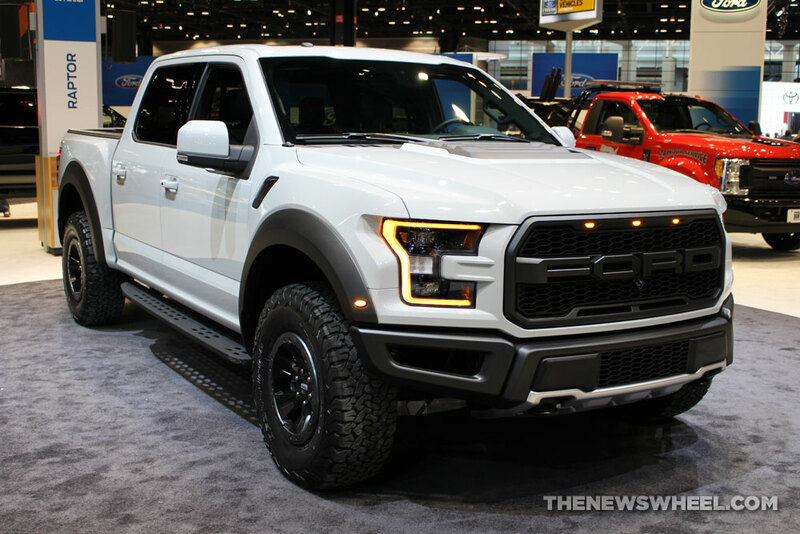 The 2017 Raptor is lightweight thanks to its aluminum body, which allows it to use an EcoBoost engine that’s smaller, more powerful, and more fuel efficient than the average. 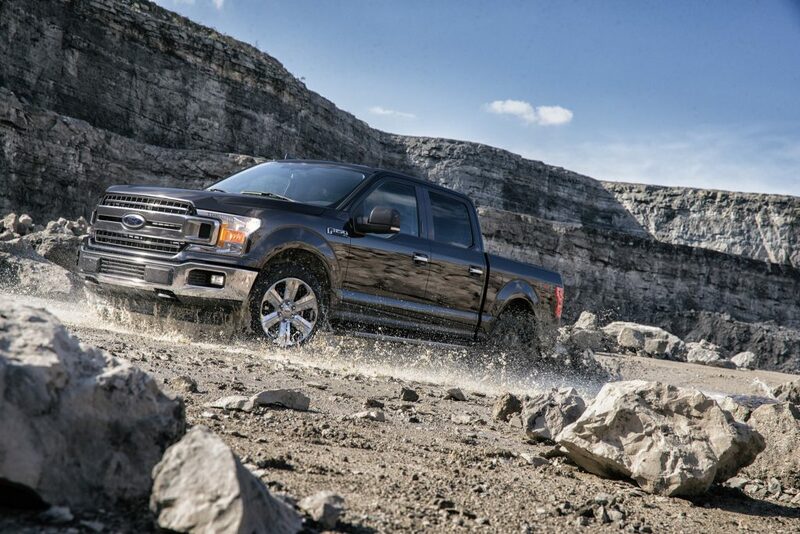 Its suspension is improved from other F-150 models and it comes with off-road tires. The EcoBoost engine is paired with a 10-speed transmission and a torque-on-demand transfer case.